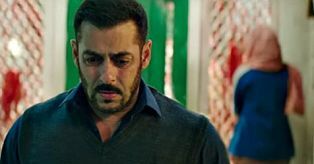 Sultan starring Salman Khan improved on 18th Day ( Third Saturday) Total Box Office Collection improved again and it looks set for a good third weekend. In Hindi markets Sultan has still maintained better than new release madari and also seems to be at same levels as Kabali..
Fourth Week will see Salman face off with Varun Dhawan’s Dishoom which is the fisrt major release in hindi markets .This means that this is the last week when Sultan will have major collections as Dishoom will have a very wide release. Sultan is Salman Khan’s 2nd highest grosser of his career after Bajrangi Bhaijaan and will likely finish some where in 290 to 300 Crore range. Sultan has crossed Dhoom 3 to be worldwide no 3 in terms of bollywood movie on highest grossing bollywood movies of all time worldwide list . Sultan is going to face competition from Madaari and Kabali in its Third Week with Kabali taking away all the screens in Andhra, Telangana and Karnataka.